SPOT.ph blogger Yvette Tan talks to Jomel Salas of The Cupcake Library and Brownie Bar. (SPOT.ph) I’ve been noticing a commonality in my friends’ parties. Birthday party, christening, or wedding, they all have delicious pastries, and they all come from the same guy. Jomel Salas is the guy behind The Cupcake Library and Brownie Bar. I caught up with him and got him to spill on how he comes up with his delicious creations. My mom would bake macaroons during the Christmas season and that’s sort of how I got into it. She’d amass all these baking tools and equipment, use it for two weeks that December, and then forget about them the rest of the year. I guess I wanted to play and emulate her so I started with box cake mixes and then eventually went on to scratch recipes. It would be my hobby for years, baking things for parties. It would only be after college, after finishing my Psych degree, that I would realize that my heart belonged in the kitchen. Tell us about The Cupcake Library. How did it start? How has it grown? 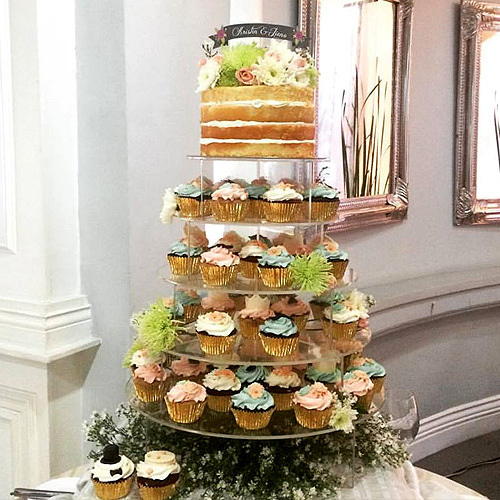 The Cupcake Library is a made-to-order cupcake and cake business. It started quite simply and humbly, and like most other small businesses: I baked cupcakes for parties, friends and family tasted them and would order for their own parties, where other people got to taste them and then would order for themselves. 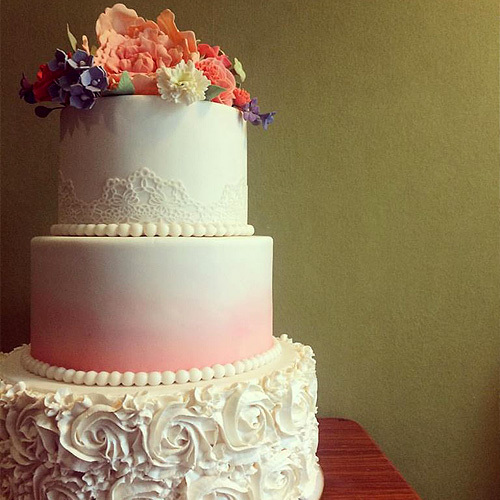 I started with cupcakes at first, but now it has grown so that I also offer custom cakes, wedding cakes, dessert catering, and dessert tables. 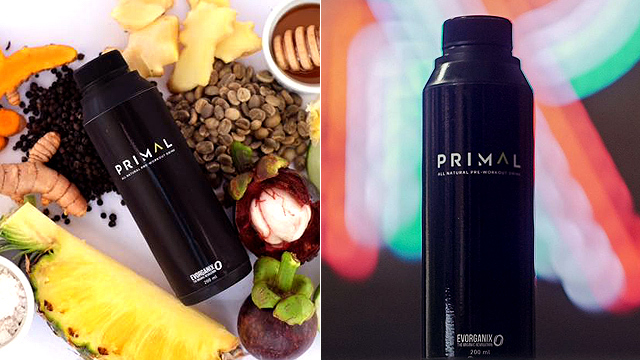 What are your best-selling flavors? 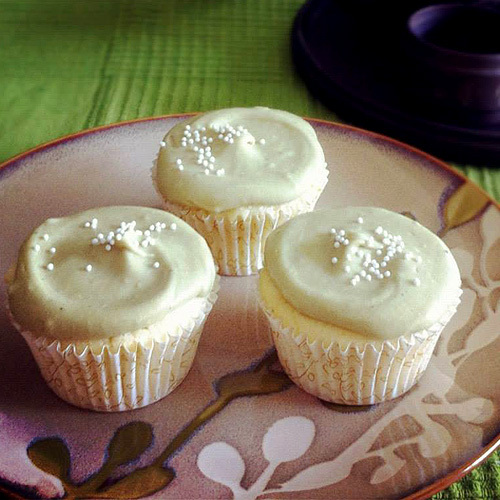 My best-selling flavors are: Green Tea cupcakes and Tsokolate-Eh. I’m especially proud of my Tsokolate-Eh flavor, which I call Damaso because it’s dark, rich, and sinful. I make it with two types of tablea and local honey, making it a distinct Pinoy flavor. What other things do you bake aside from cupcakes, and what are the most popular? 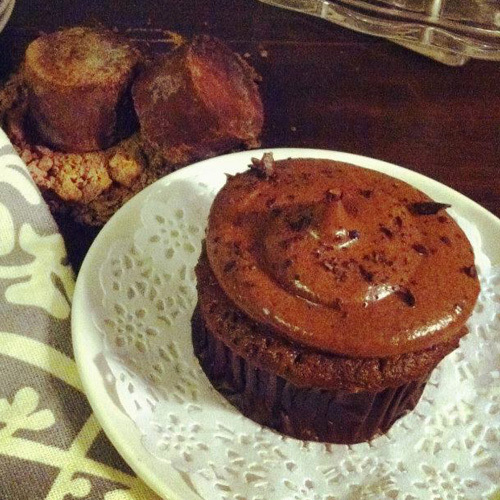 Aside from The Cupcake Library, I also co-own Brownie Bar with my partner Joby Provido. 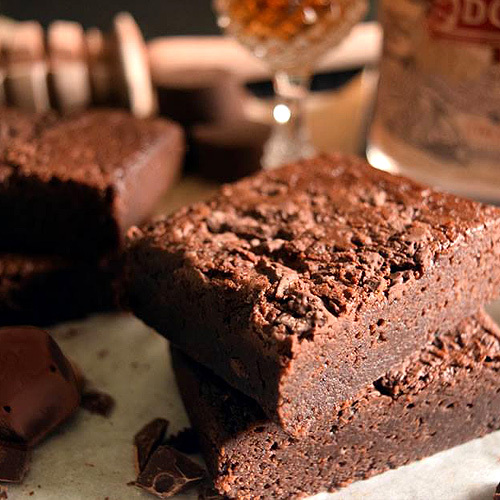 We bake the most decadent brownies with premium liquor. 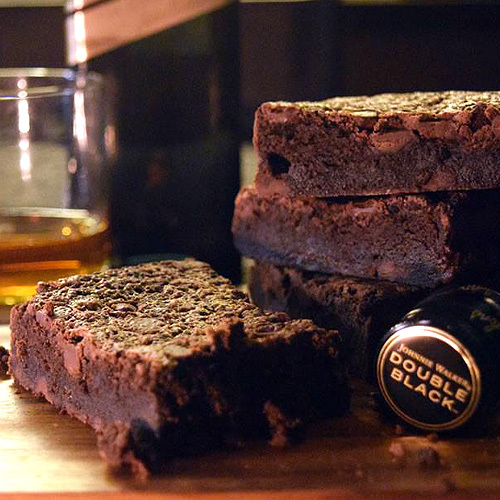 Our best-selling flavors are: Double Black Whiskey Brownies (in which we use a heady amount of Johnnie Walker Double Black Whiskey) and Don Papa Tablea Brownies. 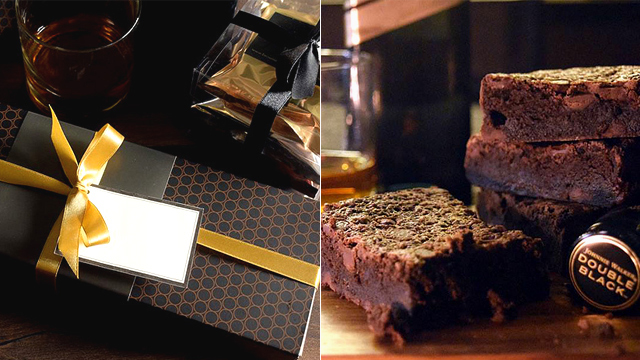 The latter flavor uses premium local rum from Negros, tablea from Cavite, and Malagos chocolate from Davao. It has been featured multiple times in various blogs and publications. Please tell us about some of the people you've catered for. I’ve catered to all sorts of people, all over Metro Manila. I sometimes feel like I’d be a good Uber driver as I feel like I’ve been everywhere already. I love doing orders for young moms, as they’re usually so hands-on with the design and flavors; they really want the best for their child. I also do the birthday cakes of my friends’ kids and that’s always a treat to do, as they usually just trust me and I let my creativity fly. What was your most challenging project and how did you go about executing it? 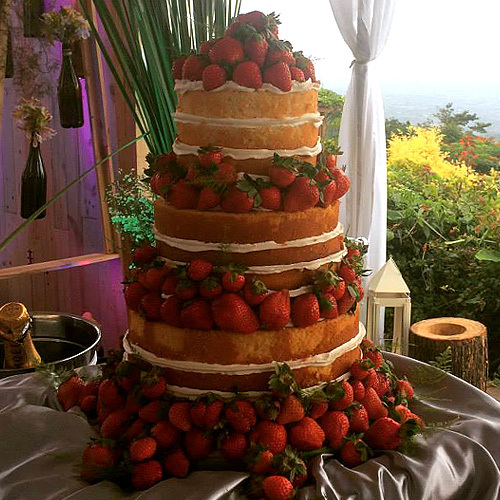 One of the most challenging projects I’ve ever had was a wedding in Antipolo and the job order was 800 cupcake giveaways, a dessert table for 200 pax, and the wedding cake. At this point in the business, there was just me. The key to accomplishing this gargantuan task was a very strict schedule and whole lot of discipline. I managed to pull it off, though I got sick right after. Best part of my job I would say is all the eating. I love sweets; this is the best job for me. Another aspect that I love is that I control my own time. Why do you think people love cupcakes so much? I think it’s because they’re so damn cute. And also how awesome it is to have a whole cake to yourself. Some people have been heralding the death of cupcakes for some time now. What do you think of this? I’ll be first to admit that there has been quite the decline in the demand for cupcakes, so that’s why I branched out and expanded into other things. I still get quite the number of cupcake orders, but now instead of for personal consumption, they’re orders for parties and events, which is even better as these orders are usually in bulk. That’s also the reason why I started Brownie Bar. After a time, I felt burnt out making cupcakes, and I thought to myself, let’s do something else on the side, something totally different from what I’m doing now. Since The Cupcake Library markets itself as youthful, cute, dainty, and shabby chic; why not start a brand that’s elegantly dark, luxurious, and sophisticated? That’s how Brownie Bar was born. Please tell us something about running a baking business that not a lot of people know. 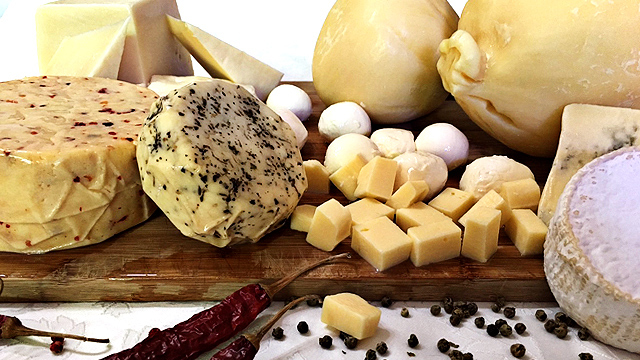 What can we expect from you this holiday season? For this holiday season, I’m putting The Cupcake Library on a break to focus on Brownie Bar. We only started Brownie Bar last year but the demand was so overwhelming that I had to decline cupcake and cake orders during December in order to fill the brownie orders. At our busiest, we were baking 80 bars a day (this may not seem like a lot, but consider that I can only bake five bars at a time with my li'l old kitchen oven). For more information, contact 0917-520-9349, or log on to The Cupcake Library’s Facebook page, Brownie Bar’s Facebook page, and Brownie Bar's website.